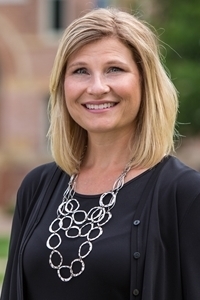 As Northwestern’s online education administrator, Dr. Hoey oversees development of the college’s graduate degrees and other programs for adult learners, which include Master of Education degrees, graduate certificates, degree-completion programs, and continuing education opportunities. While a research committee member for the International Association for K-12 Online Learning, she helped write a survey of policy and practices around the world. Dr. Hoey is co-editor of NET: An e-Journal of Faith-Based Distance Learning, and she has published in the Online Journal of Distance Learning Administration. She has experience teaching online courses and developing and designing online curriculum. Prior to entering higher education, she taught business in high schools in Colorado and Minnesota.